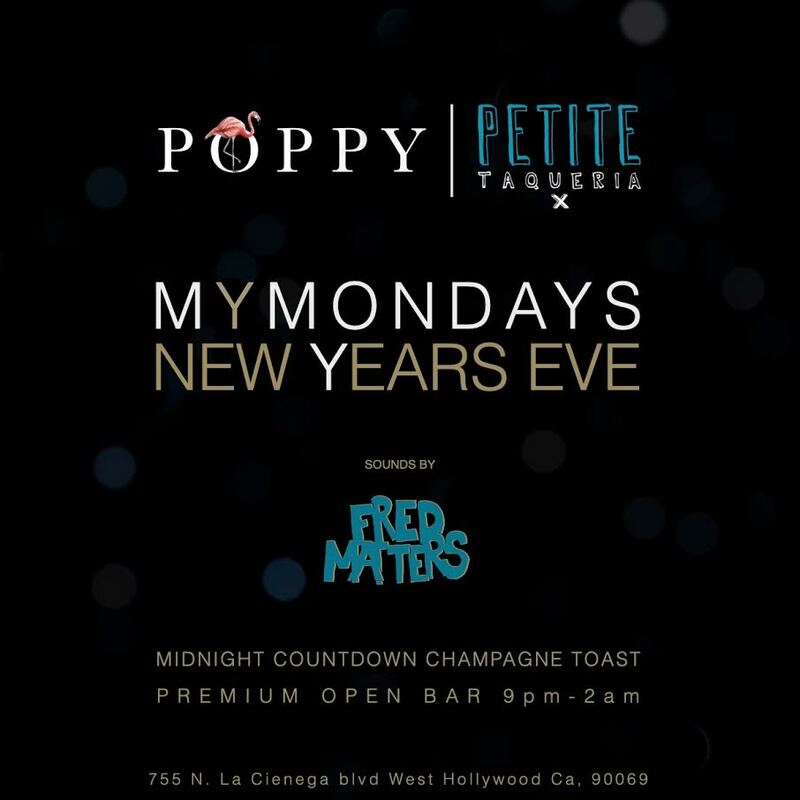 If you want to party like Hollywood royalty this New Year’s Eve, get to Poppy + Petite Taqueria for a joint celebration that’s guaranteed to be the talk of LA. These two party destinations may share an address, but with completely unique personalities, you’ll find that there’s something here for everyone. 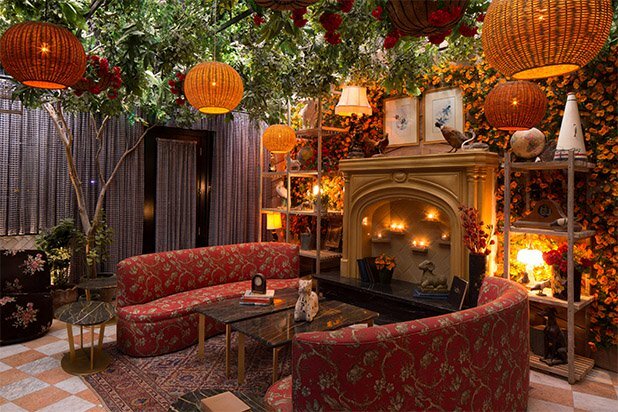 Come ring in the New Year the only way that the in-crowd knows how: at a stylish soiree in the City of Angels. Begin your night of radiance and revelry with a five-hour premium open bar, where a slew of seasoned bartenders will be crafting delectable cocktails from your favorite spirits. When you’ve had your fill of mingling and rubbing elbows, head to the dance floor to enjoy a live performance from a top DJ spinning the hottest hip hop, house, and Top 40 jams for your pleasure. At stroke of midnight, raise a glass of complimentary champagne and join the vivacious crowd in a toast to the New Year. Thirsty for even more extravagance? Selections of VIP packages are available that feature exclusive perks like priority admission, reserved seating, and bottle service. These sister establishments are ready to serve this New Year’s Eve. 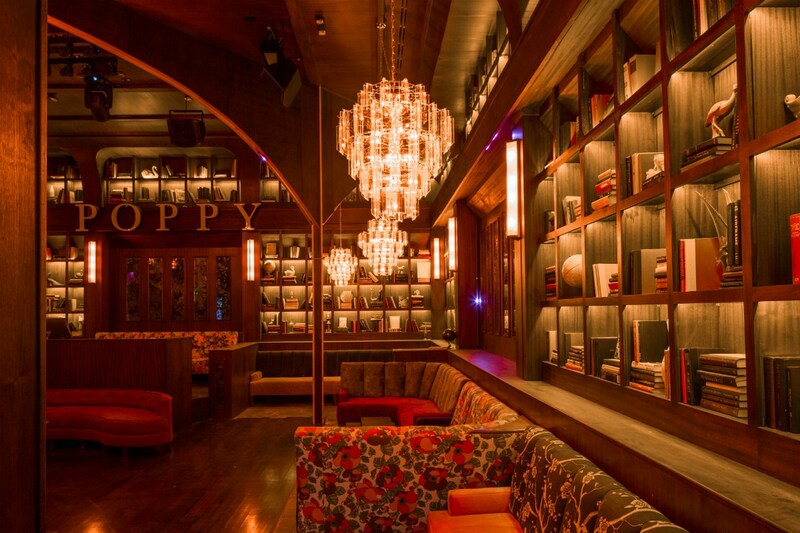 Poppy is a playful concept-bar, a pop-up created by nightlife gurus the h.wood Group. 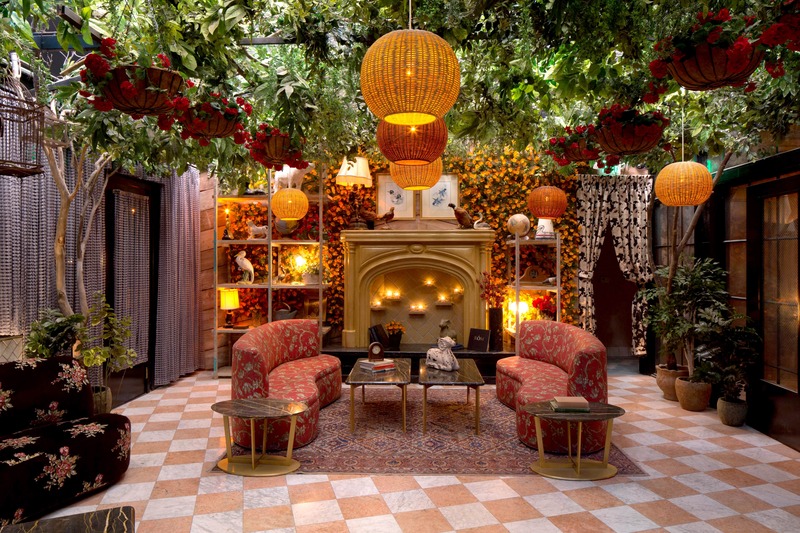 The venue features a library-style room with rich wood paneling and crystal chandeliers, but the main attraction is Poppy’s atrium – woven lanterns hang from lush greenery over a marble checkered floor, with an accent wall covered in poppies adjacent to another wall covered in hanging crystals. 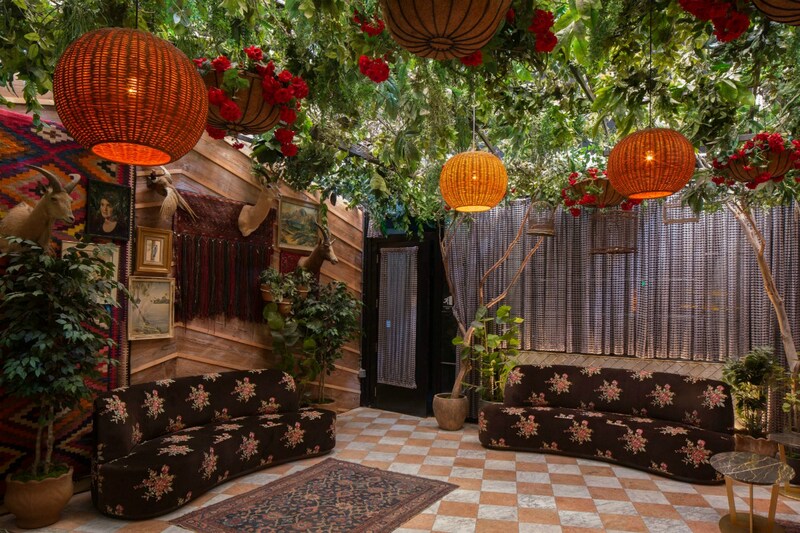 With this magic décor, you’ll feel transported “into an underlying stream of consciousness.” Petite Taqueria is a warm cocktail lounge with vintage-inspired aesthetic – a menagerie of weathered artwork and lush plant life lines the walls, while a massive skylight above opens up the space. With celebrity clientele, like Drake, Katy Perry, the Kardashians, and Wiz Khalifa, both of these venues are sure to make you feel like a star. 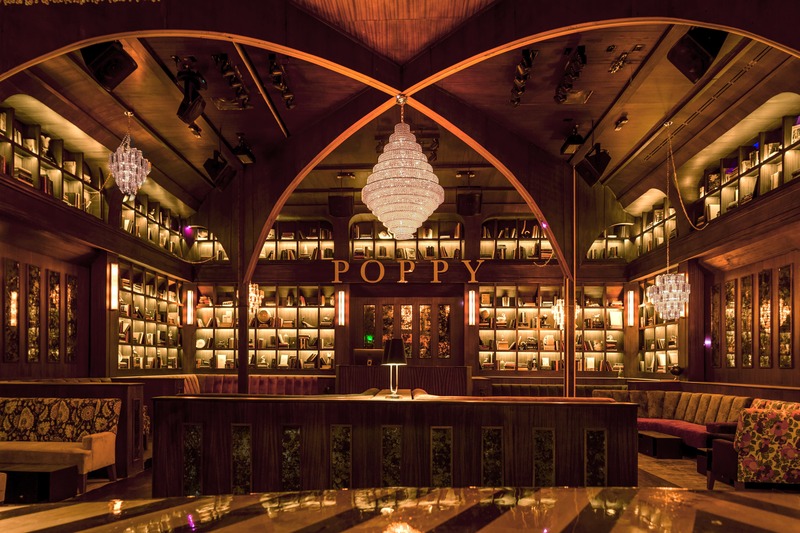 Get on the list at Poppy + Petite Taqueria to get down with the in-crowd this New Year’s Eve. Tickets are going fast, so snag yours ASAP.